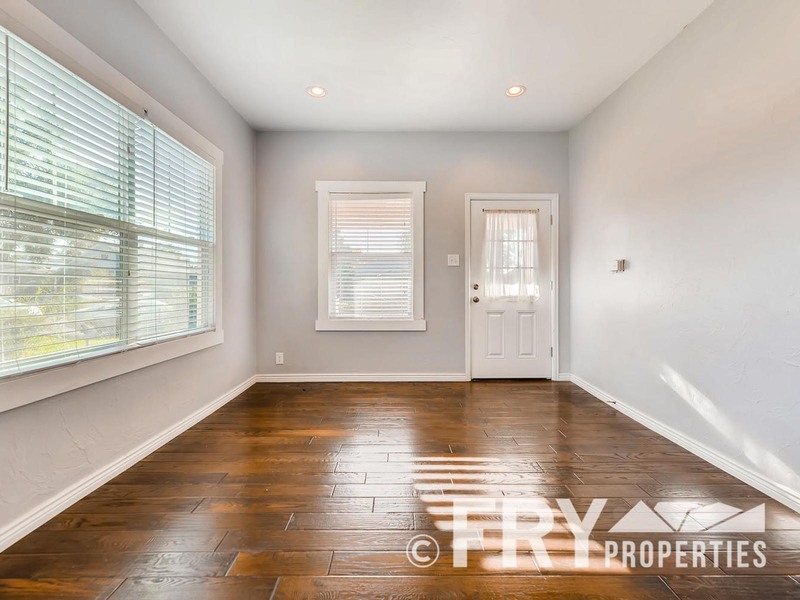 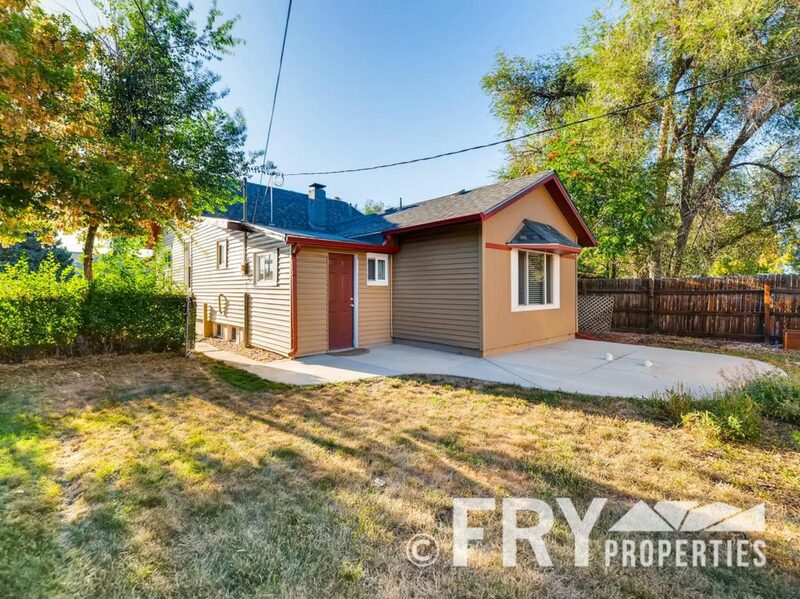 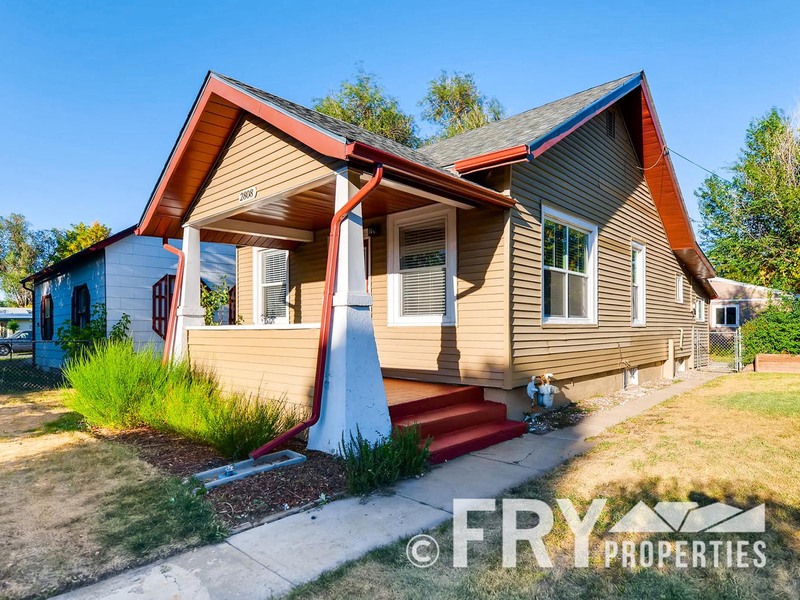 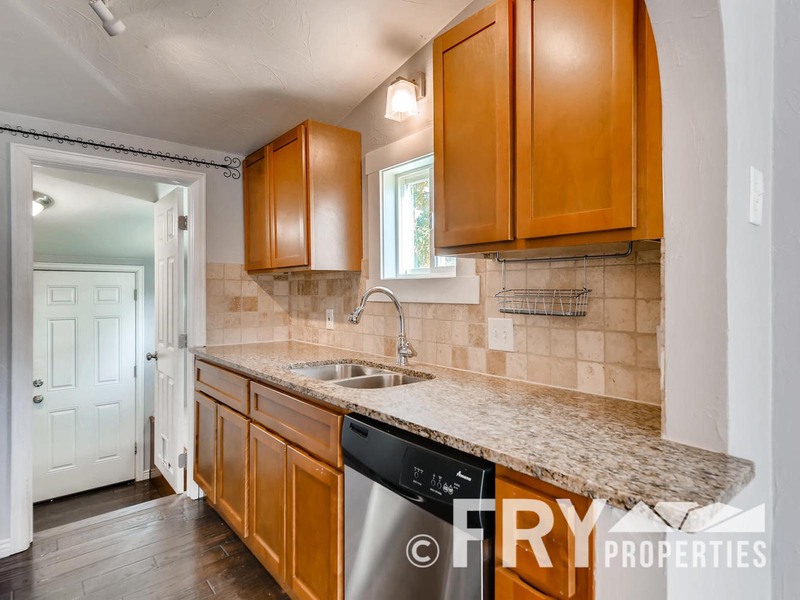 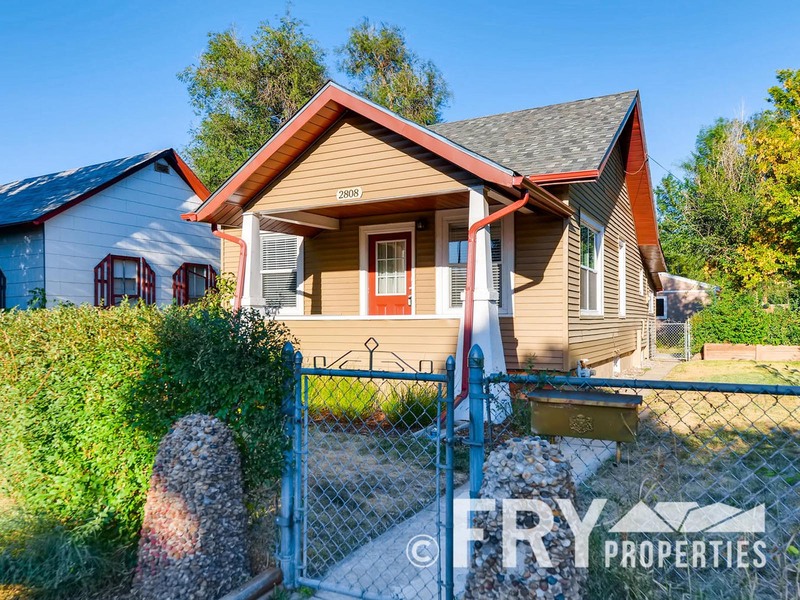 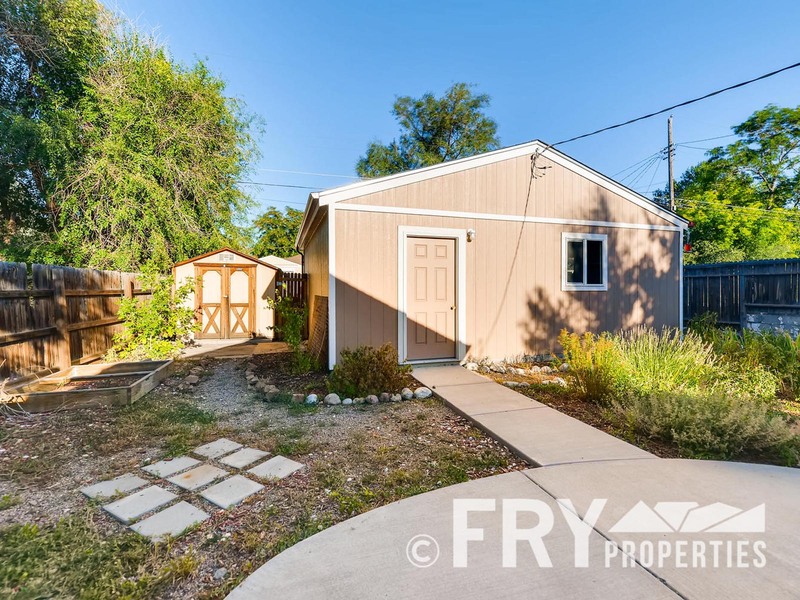 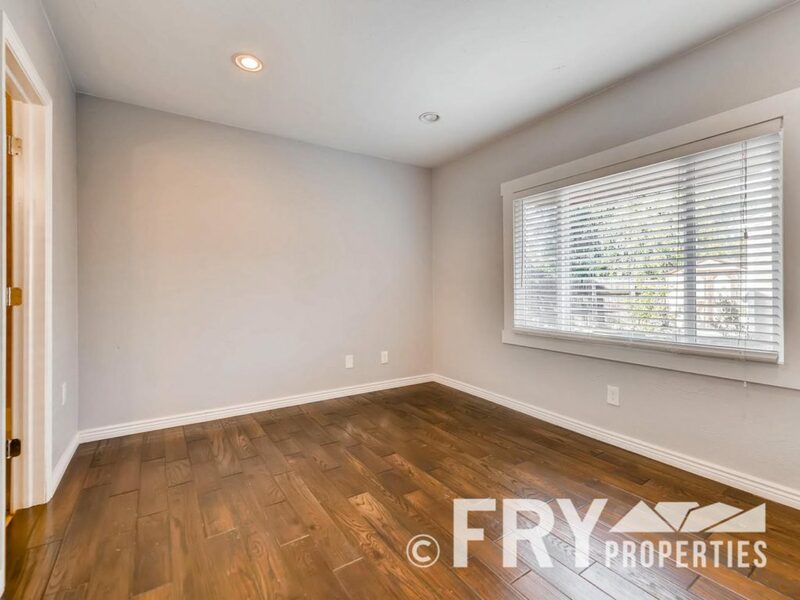 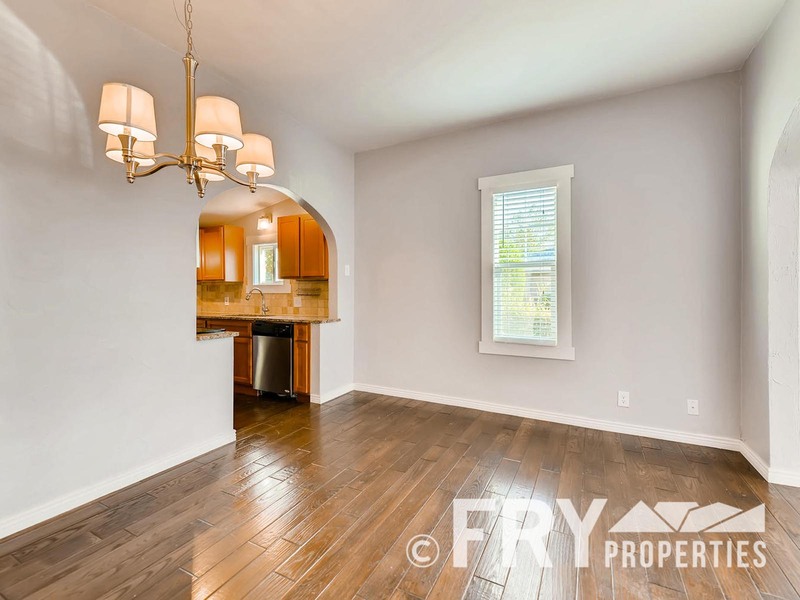 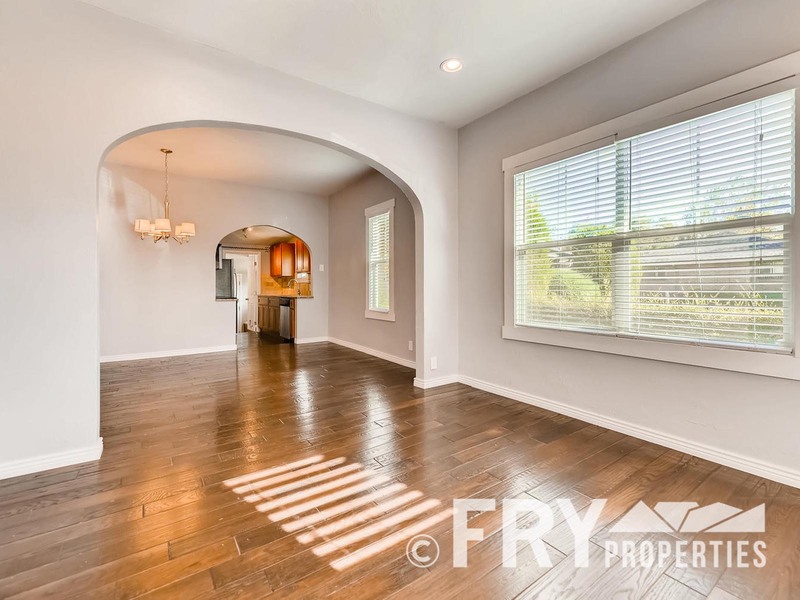 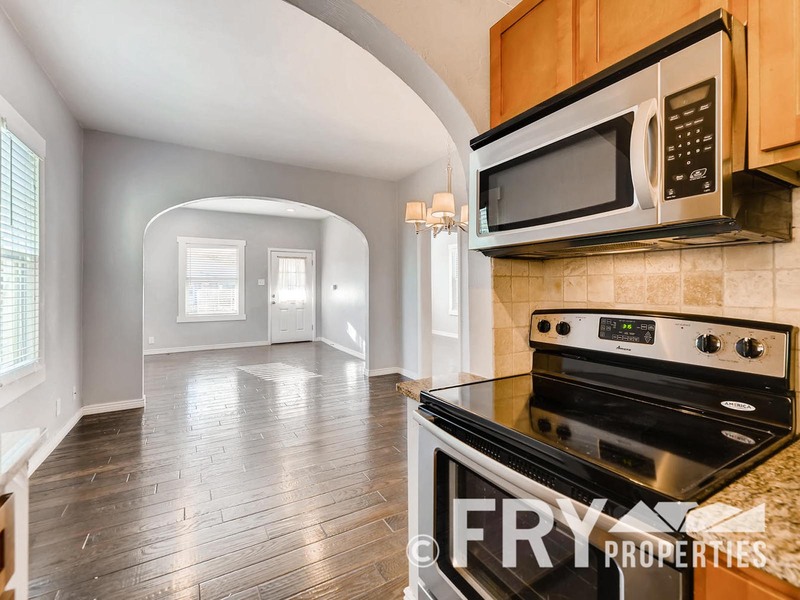 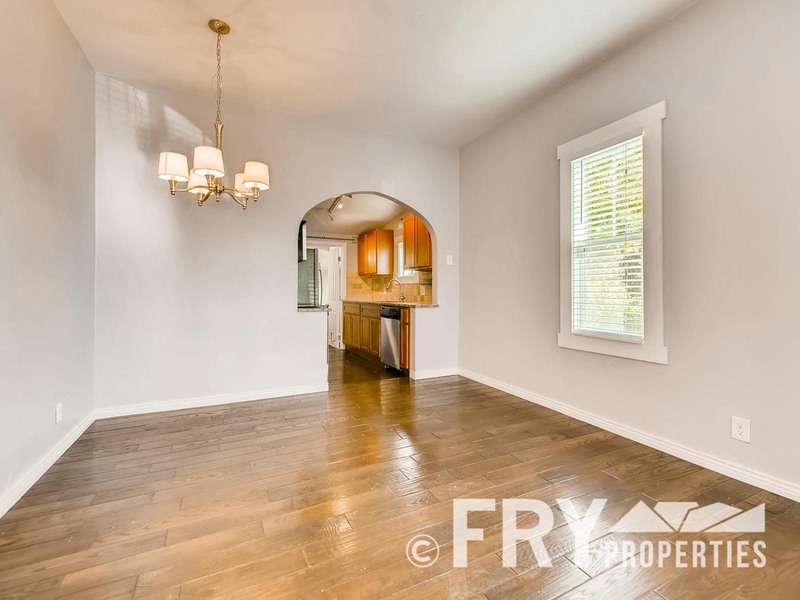 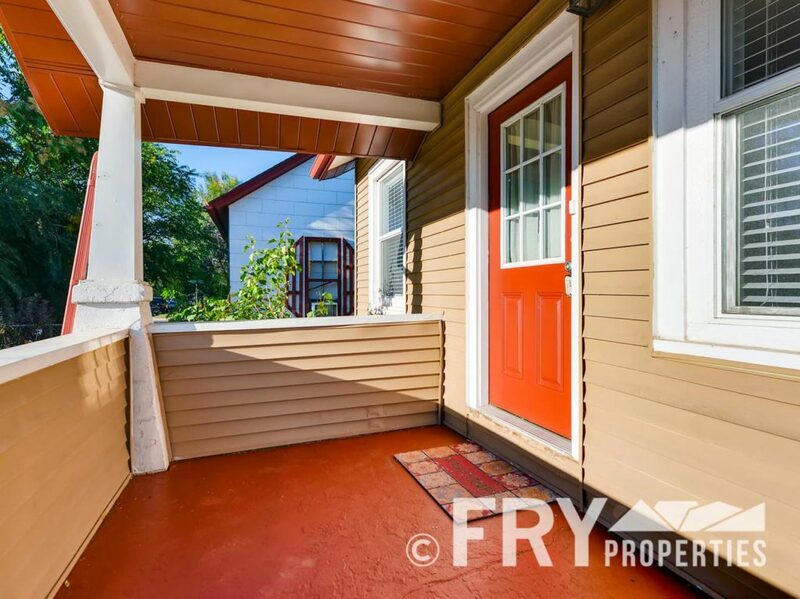 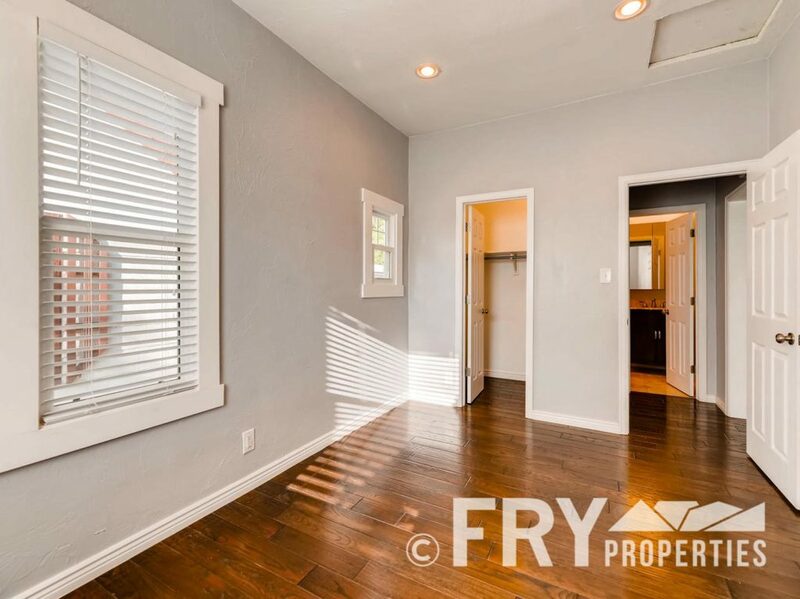 Recently remodeled 3 bed/2 bath bungalow in the Rosedale neighborhood of Englewood. 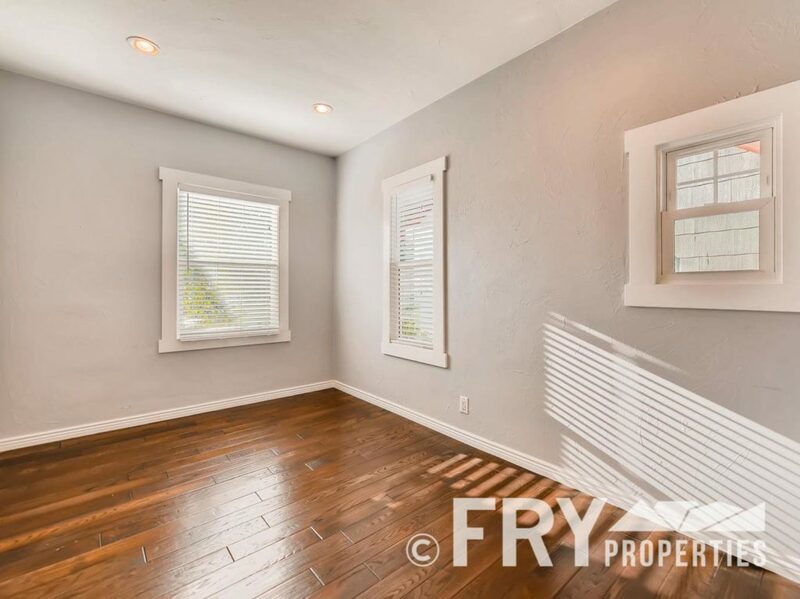 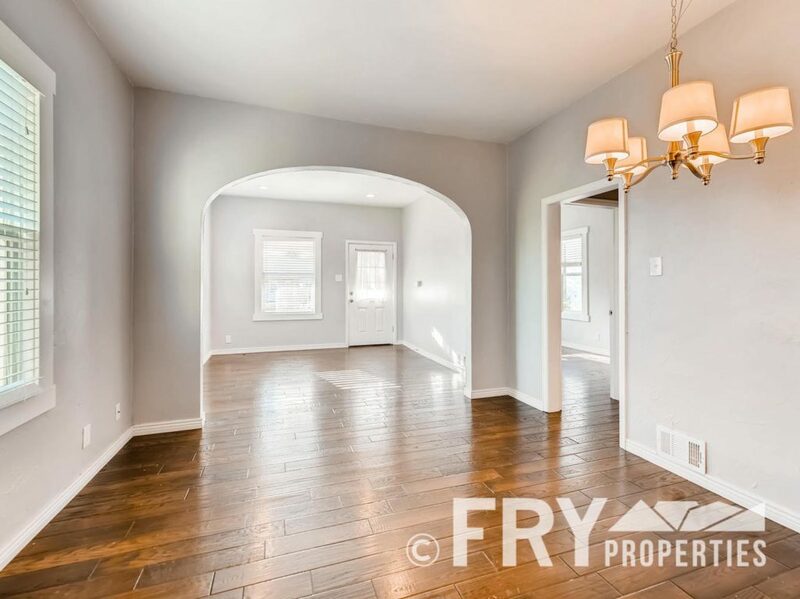 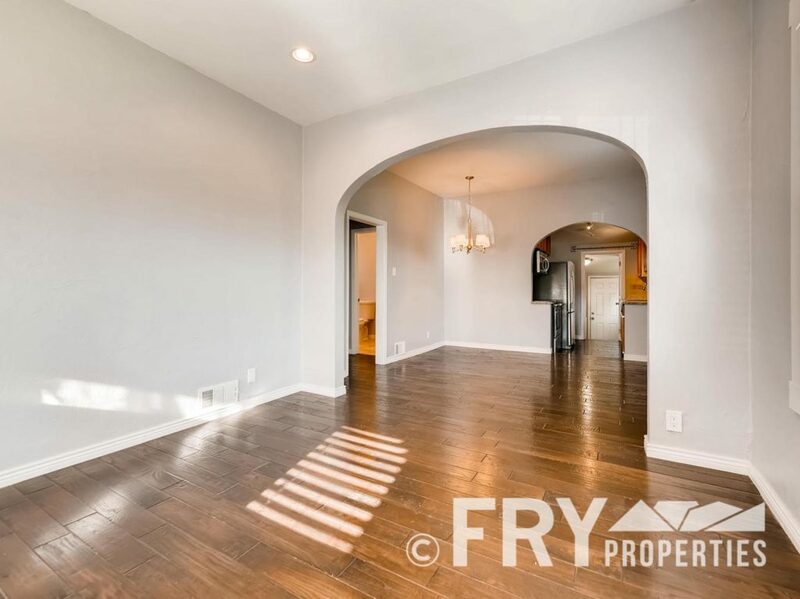 Open living room and dining room area with quaint arched doorways and new hardwood flooring throughout. 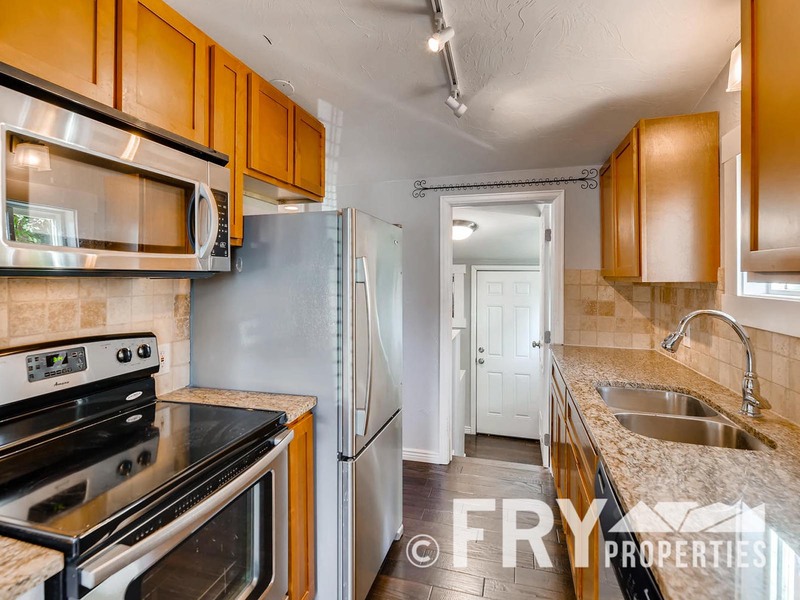 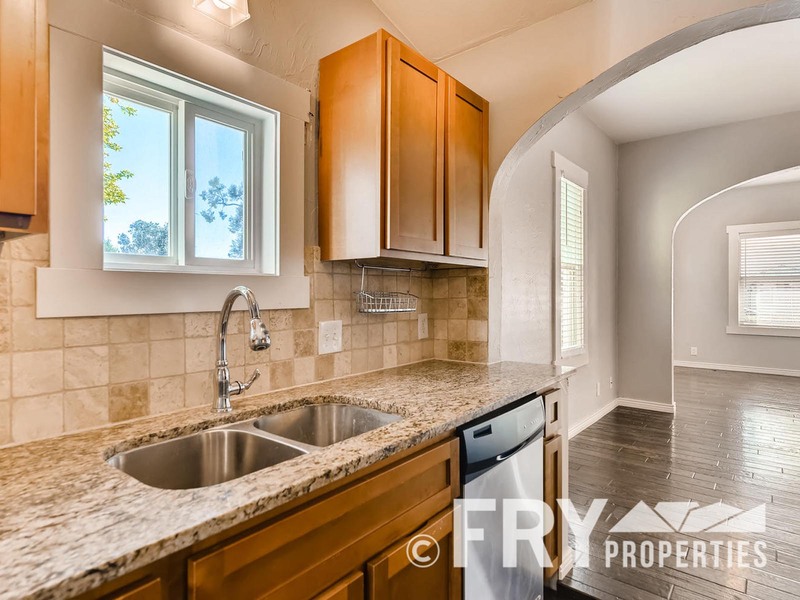 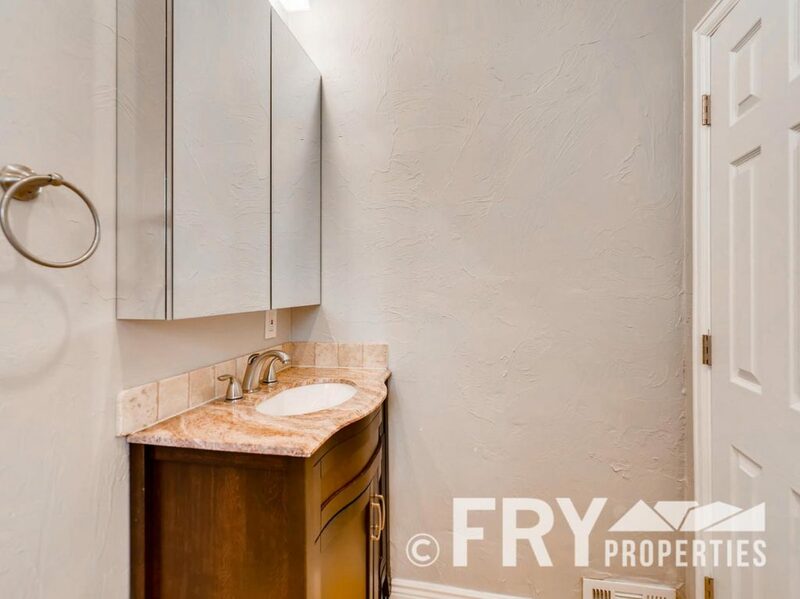 Kitchen features granite countertops, stainless steel appliances, and new cabinetry. 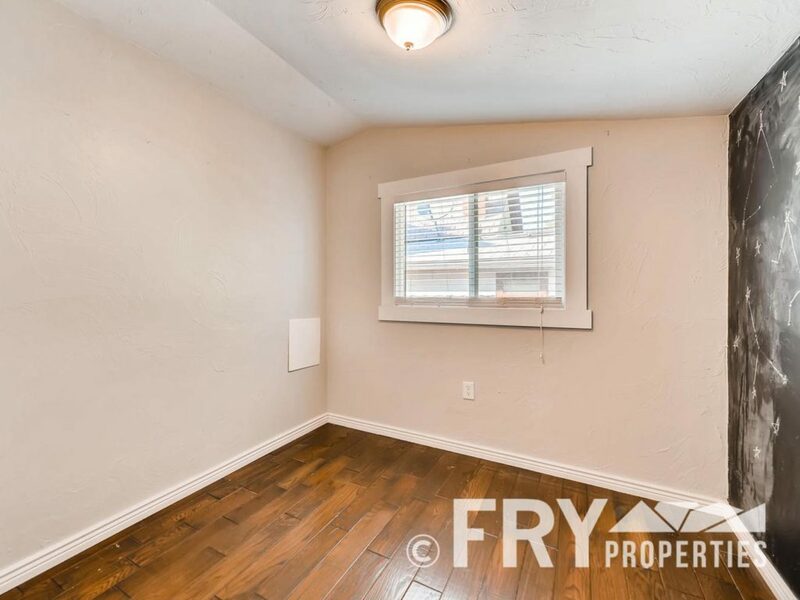 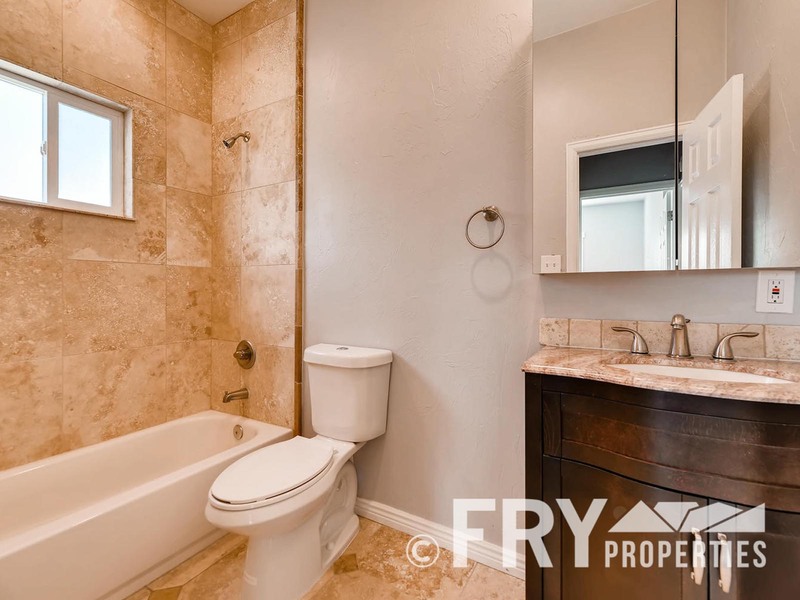 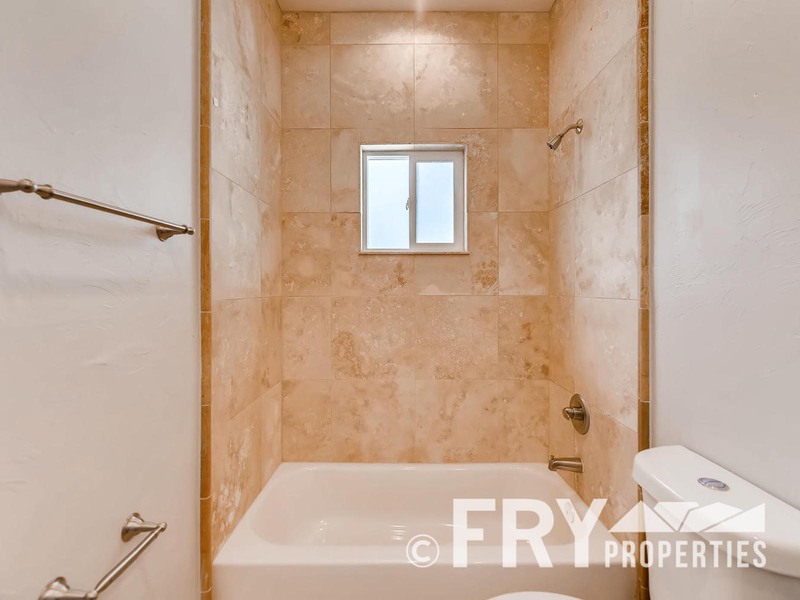 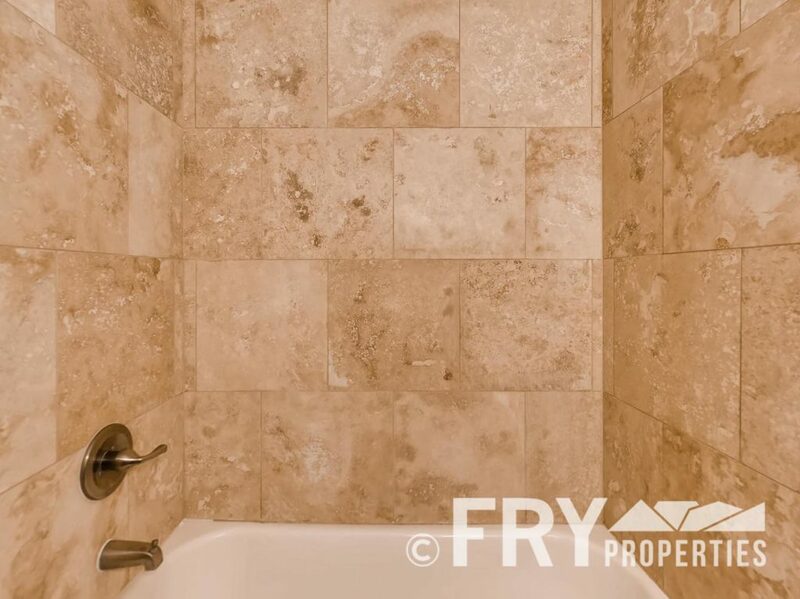 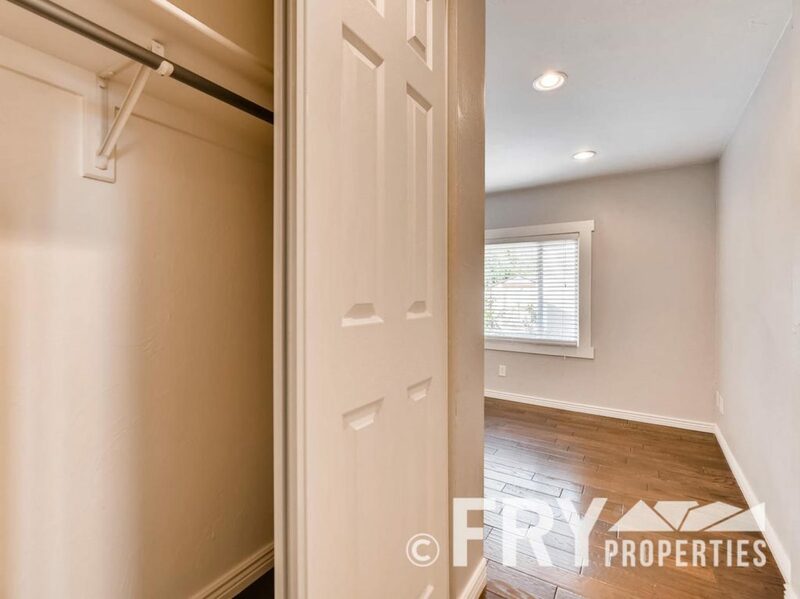 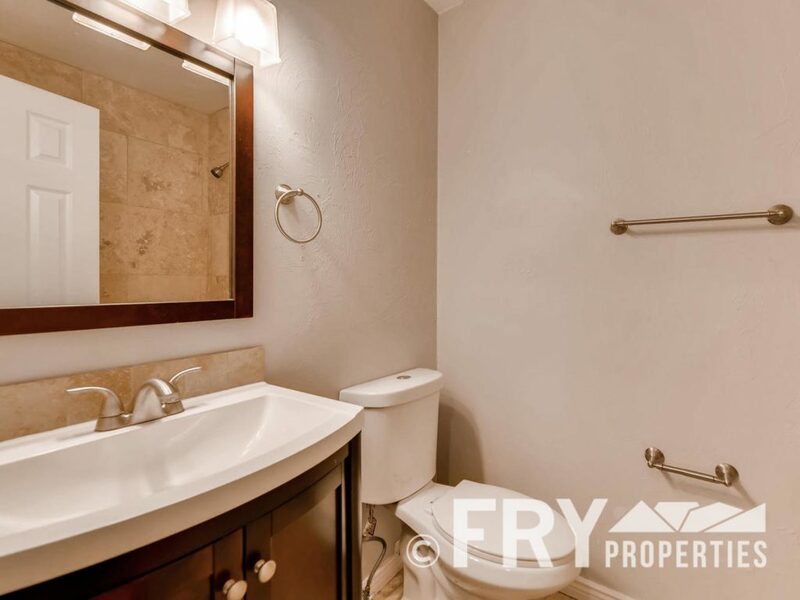 One bedroom and bathroom at front of house and second bedroom with en suite bathroom at the back of the house – perfect for a roommate situation. 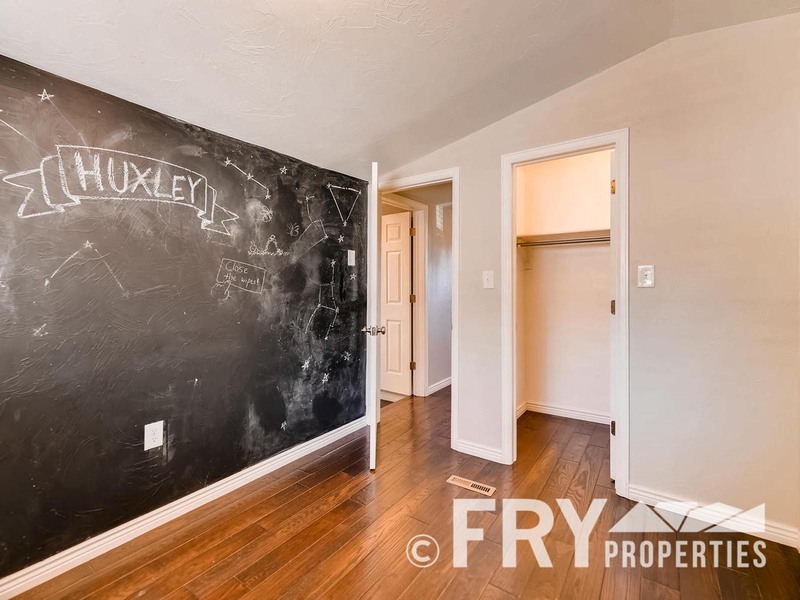 Off the kitchen is a nicely sized office with chalkboard wall that could also make a great child’s bedroom. 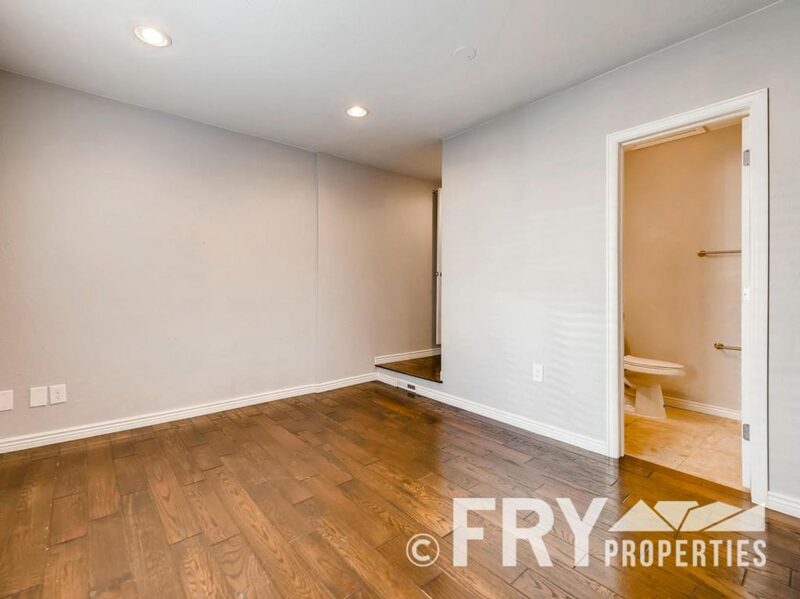 With an unfinished basement and 2 1/2 car garage, you’ll have endless storage space for all your toys and gear. 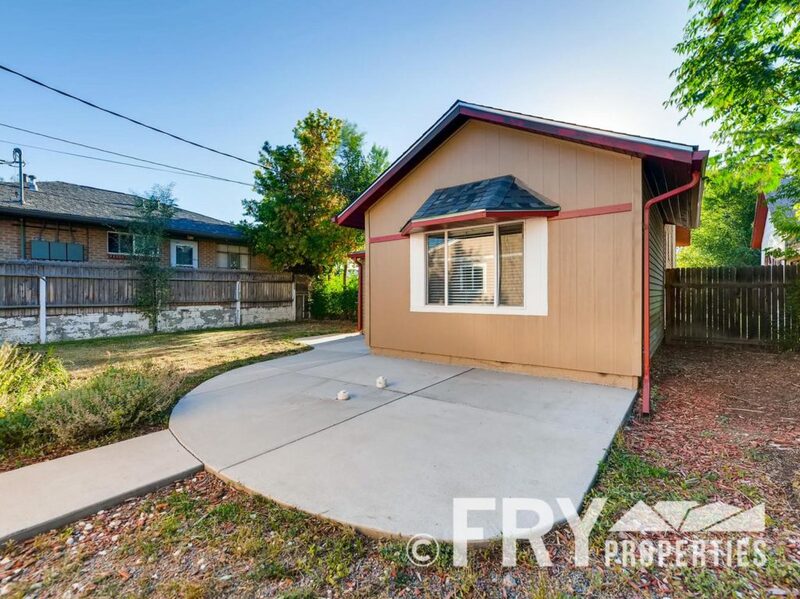 Both the front and back yards are fenced with plenty of space for a dog or gatherings with friends. To top it off, this cute house is just a short bike ride to all the great spots on Broadway and Pearl St in Platt Park.